Mortise locks are designed to give you a sense of security and peace of mind. But to securely protect themselves and hinder the permeation of "uninvited guests" in an apartment, you must pay due attention not only to the choice of most doors, but a good mortise locking devices to it. The correct choice of lock will keep your belongings and money, and possibly lives. - a piece of chalk. 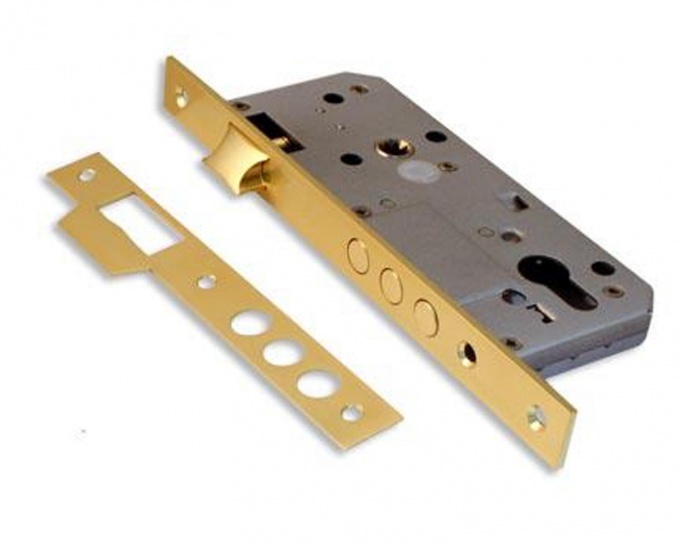 Mortise locks are locking mechanisms currently available. When choosing a mortise lock, remember that they are designed for "right" and "left-wing" doors. Although there are universal locks. There are two ways to frame locks. The first method is a simple box lock. At the end of the door in this case, the strap lock will remain on view. Attach the lock to the door, draw a pencil the location on the door end, where we will make a hollow in the tree. Now note at this place a thickness of the lock, draw a rectangle that you have cut in the door. Take the drill, insert the drill bit, the thickness coinciding with the thickness of the lock. On the drill, check the wire depth at which to drill the hole. Start drilling, making holes close as possible to the drill bit. Now you've got a hole with jagged edges. Align them, cutting with a chisel the excess wood. You get a flat rectangular opening. Put him in your castle, draw with a pencil the front bar of the castle. Cut with a chisel the wood at this mark and the thickness of the bar. Again, insert the lock and check whether all is fine. Attach the lock to the outside of the fabric of the castle opposite you cut the holes, mark where the hole for the lock cylinder. Drill a hole, align it with the chisel to the desired size, then zarovnaya the edges round with a file. Now insert the lock in the prepared hole. Screw the two screws to the door leaf. Place the lock cylinder in its place, screw the bolt, the supplied lock. Insert the key, try how to work the lock, the key should rotate freely and easily. Spread the end of the retractable lock tongue with chalk. Close the door, turn the key, as if closing the lock, knock the bottom end of the lock tongue in the door frame, that is, mark where the hole for the lock tongue. Cut the hole with a chisel. Put the pad, securing it with screws. Your castle is ready for operation. Please be careful with the chisel, don't hurt hand. When drilling holes, hold the drill steady!